"If we look on a global basis, in the west we have probably hit peak stuff. We talk about peak oil. I’d say we’ve hit peak red meat, peak sugar, peak stuff … peak home furnishings," Howard said at a Guardian Sustainable Business debate. In the comments, which were reported by The Guardian, Howard added that this did not contradict Ikea’s target of almost doubling sales by 2020, and that changes in consumption were an opportunity for companies to rethink the way they did business. Ikea was trying to help customers live in a more environmentally friendly way, he added. "We will be increasingly building a circular Ikea where you can repair and recycle products," he said. Howard’s comments do not appear to be borne out by sector sales figures. His own company, the largest home furnishings retailer in the UK, reported an 11.6% increase in turnover to £1.5bn for the year to 31 August 2014. Rival John Lewis also reported 2.3% growth in sales in the home category for the year ended 25 January 2014. However, in June 2015 market analyst Euromonitor predicted an 8% value sales decline for dining and kitchen/dining furniture between 2014 and 2019 and a 13% decline in living room sitting furniture. It attributed this to ongoing shifts to smaller house sizes and from home ownership to renting. 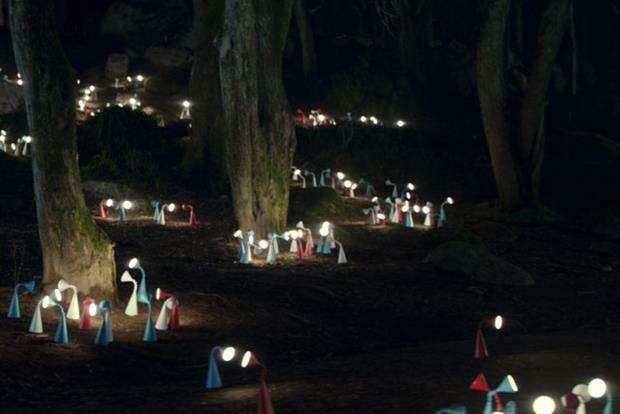 Ikea ran its first sustainability-focused advertising campaign in the UK in 2014 (pictured above), with a voiceover that claimed that by 2016 the lightbulbs the company would sell would only be energy-efficient LED versions. Other sustainability initiatives from the company have included a commitment to sourcing 100% renewable electricity in the UK and partnerships with Unicef, Save the Children, WWF and the Woodland Trust.